The classic ’70s horror film When A Stranger Calls begins with a babysitter getting what she thinks is a wrong number call from a stranger only for him to chillingly ask, “Have you checked on the children?” She brushes it off as a practical joke but he calls back again. And again. Every call gets more sinister, so she rings the police and they agree to trace the call if he rings again. He does. The police ring back to let her know they traced his call and say it’s “coming from inside the house”. Over the past few years Australia has seen a procession of far-right grifters arrive on our shores for national tours. Milo Yiannopoulos, Lauren Southern and Stefan Molyneux are a few of the names that sneaked through. Gavin McInnes, founder of the Proud Boys, was refused a visa on character grounds after a successful national petition declaring there was no room for people like him in Australia. This attempt to safeguard ourselves from external voices of white supremacy, while well-intentioned, unfortunately missed the point. Positioning white ethno-nationalist violence as something that can be stopped from infiltrating us only masked the truth: these grifters weren’t seeking to import their white nationalism to Australia, they were coming to cash in on what they knew was already abundantly here. At the same time as the McInnes saga was dominating our discourse, much of our media and political class was busy legitimising white supremacy. Those of us who tried to draw attention to this were largely sidelined from the conversation, regarded as too radical and too angry, as our media class decided on a faux-centrist approach and a bizarre fixation on avoiding “silos” as if free speech would actually be killed if our journalists didn’t interview Steve Bannon. In the aftermath of Christchurch, we have been treated to a by now familiar scenario. 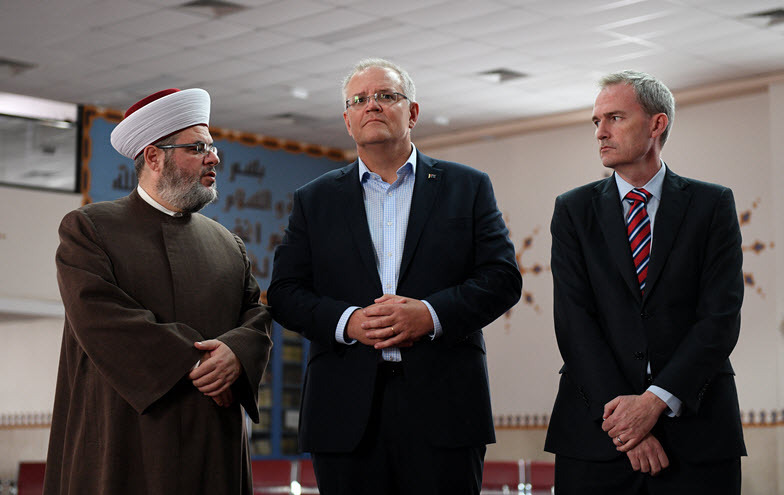 Senior politicians took photo ops with grieving Muslims to show their support, as if demonising Muslims hasn’t long been an election strategy. The usual condemnations were issued; of the massacre and of statements made by Senator Fraser Anning who assured us that, although nominal victims in this particular instance, Muslims are usually the perpetrators of terrorist violence and so must shoulder some of the blame for their own murders. Their killer, you see, was simply afraid of them. So afraid, he took the time to kit himself out in full camo gear, attach a webcam to his head, and livestream the final moments of dozens of people who’d never done him any harm. What was he scared of? White people being “replaced” by brown and black people. Why was he scared of them? Because white supremacy cannot countenance a world in which it does not live with its boot on the neck of everyone else. Who encouraged him to be afraid? Everyone who made light of the white supremacist threat, who referred to brown and black people as “invaders” (Andrew Bolt), as “mistakes” (Peter Dutton), or as “a disease” (Pauline Hanson). None of these names is considered too extreme to be denied a place in our mainstream discourse. We asked for something to be done about them. Nothing was. While we were bolting our national doors against the influence McInnes would have on us, we didn’t stop to think of the effect that we could have on others. Or that our own brand of violent white supremacy, honed over the past 230 years of colonisation and dispossession right within our fortress, was in itself deadly. Our focus on the most famous and unsavoury international voices allowed their mainstream enablers to continue the work of casually legitimising white supremacist rhetoric. This was couched in “concern” over the effects immigration would have on everything from job opportunities to peak-hour traffic, or “concern” for the welfare of Aboriginal children which meant they should be taken away from their families in a new Stolen Generation, or “concern” for the study of Western civilisation, or “concern” for free speech. We objected to this. We always object. And we always pay the price. And now, so has New Zealand. Prime Minister Jacinda Ardern made a point to state that “an Australian man has been charged [with] murder. He was not a resident of Christchurch”. The levels of irony and coloniser denial involved in a white Australian man ranting about invaders replacing whites in their own lands not only living on this stolen land but going to another country, also with a colonial foundation, to murder innocent people that had been welcomed there is too much to process at this time. Men adorned in black t-shirts, camouflage pants and with their heads shaved took to the streets. Alongside them were women pushing baby strollers, and displaying signs that declared, among other things, that it was all right to be white. The rally took place in Christchurch. Originally focusing on Jewish and Asian targets, in more recent years, the groups have seen a sharp rise in anti-Muslim sentiments as they assert their “right to be white.” Likewise, Muslim groups like the Islamic Women’s Council have been warning authorities of the rise of white supremacy only to be largely ignored. Brenton Tarrant was attracted to Christchurch for the same reason that McInnes and co are attracted to Australia: not to start a fire, but to add to the one already raging. White supremacy is a global project that is not so much embedded in the fabric of western society as it is the fabric. Tarrant’s “manifesto”, in which he conducts an interview with himself, makes it clear that as an “ordinary White man” he sees no difference between any “European” country: “Europa arises,” he wrote. Scream, Wes Craven’s ’90s paean to slasher films, pays homage to When A Stranger Calls. As Drew Barrymore coquettishly flirts with the — unbeknown to her — killer, she walks around casually locking her doors from the inside. He gets progressively more threatening and finally, realising this is no joke, she cries out, terrified, “What do you want?”. He snarls: “To see what your insides look like”. Australia, we flirted with the white supremacist killer and he has again shown us the violent hatred that lurks inside us. Don’t turn away without acknowledging it. This is who we are. This is what we have to fix. This is a complicated issue. Of course there is hate in all of us. As a younger, an immigrant, when speaking my mothers’ language on a bus, we were told to shut up or spat at. We didn’t look like the normal European immigrants. The family were blond, blue, green and brown eyes. But we did have some unusual first names. Never mind my grandparents spoke seven languages and my mother four. Lets not also forget the killings happen on all sides of religion and ethnicities. Sunnis kill Shites. Telban kills all others. Arab against Arab, Muslim against Muslim. Christians against Christians. Country against country. 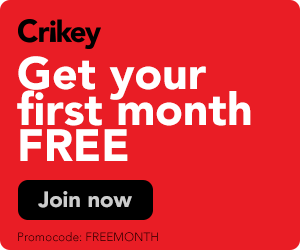 Liberals against Labour – and they are all Australians. You get the drift. How do you spot it and how do you stop it? I have no answer. But a person who has grown up with being attacked on numerous occasions I can only offer my suggestion. Firstly, we are not all the same. We are different, we eat differently and our traditions are different. There is not enough space here to talk about this in an honest response. Also, I do not like Fraser Anning, not one bit and nothing that he says is redeeming. But a 17 year old boy attached and assaulted him with an object. Imagine if the egg was a knife, hammer or a gun? It was still an object. He hit him in the head with the egg followed through with his hand. He had every right as an older person to react and defend himself. John Lennon was going to sigh an autograph when John Chapman shot him. It could have been that action. If someone hit me with an egg, I’d hit back. Would not you? Why bother imagining if it was something other than an egg. It wasn’t, end of story. Anning cuffed him twice and then the goon squads descended. Proportional response? Why do you want to beat up a not significant act of defiance, a political statement even, into something it clearly wasn’t? Dog’s breakfast, I would suggest Annings hired muscle were just looking for an opportunity to exercise their arrogant, self righteous aggravation on anybody who disagreed with their master’s attitude, that’s what comes with the attack dog mentality..
You’ve drawn some ridiculous parallels here, going from an egg to the gun that shot John Lennon. An egg is a symbol of mockery, pranksterism, not violence; if it happened to me I am quite certain I would not strike out in retaliation, and so should you be. The white Australian’s NIMBY’s (that kick up a fuss) & to a large degree those Kiwi’s that are also have White Supremacists beliefs & tendencies in my view need to realise that the economies of both country’s wouldn’t be in such buoyant condition if it wasn’t for the past & ongoing immigration, if it wasn’t for these people, our populations wouldn’t have as strong communities bases, with such rich fair & variety of foods & choice that we now are lucky enough to have. These groups of people contribute a great deal to our country’s success & our choices around what we want to eat, drink & live with. Thanks for this information Ruby. I’d not realised before reading your piece, that Christchurch had a history of being a locus for white nationalism. Like cancer it kills from within. Time for treatment. Good luck. Very well said Ruby. And I note that Andrew Bolt is suffering no contrition. It says a lot about what he considers is the supremacy of his views. It also says a lot about his personality – sociopathic personality disorders don’t feel shame or contrition. It also says a lot about his personality – sociopathic personality disordered people don’t feel shame or contrition. Not bad Ruby, However at this stage I Remain Unconvinced that the Primary Driver for Brenton Tarrant’s Muderous Rampage is “Supremacy”, he is White though. Some of who he Killed were White. And Ruby it is all right to be Black, White, Brown, Red, Yellow. Equally it is allright to have Majority White Nations, such as Australia and Majority Brown Nations such as India, Pakistan, Indonesia. Further, The Goal Must be to Stop these sorts of Murders by Anyone, Anywhere. NZ must move Fast and change Their Gun Laws, Plus Improve their Security Measures for All. RIP NZ Muslim Murder Victims!. Thanks Ruby. We are all on notice. Yes, ‘When a stranger calls’ is very apposite. The monster is inside the house. Also fair enough to say the monster is inside every house. There will be no contrition or stepping back from the loudspeakers of politics and media, just an indifferent silence followed by getting back on their soap boxes. Such is life for the right wing, never having to say sorry. Disappointing to conflate the immigration (numbers) debate. Sure some ugly people will hide under those covers, but we should be able to walk and chew gum at the same time. Better to call out those pollies already trying to make a political point out of this, Morrison with more strong borders rhetoric and Gladys accusing Labor of sidling up to the gun lobby due to preferencing in a few seats. It would be better they said nothing and had us thinking them fools, than to open their mouths and confirm it. 3. The muslims there were and are terrorists, not innocent people at prayer and so deserved to die. These fellow Australians my friend tells me, know that they REALLY KNOW what’s going on unlike the media or and city folk who are all being duped. These fellow Australians believe that what they hold dear and true is under threat by muslim and non-white immigration. The only politician they feel who hears them and understands them is Pauline Hanson. It is to this part of the country that the coalition since John Howard has been turning itself inside out for, to stay in power. At what cost to the to us all? My friend took a bunch of flowers to the small mosque in the next town. The only other tribute was a single red rose. FNQ and the Atherton tablelands in particular have a far more historically ethnic diverse population than most suburbs of Sydney or Melbourne. Mareeba has 8000 people and one of the oldest mosques in Australia. “The Mareeba & District Memorial Mosque, erected by the Albanian Australian Moslem Society, is dedicated to those who gave their lives in defence of Australia and in appreciation of all who served. Islamic Albanians first began arriving in the Mareeba area in the 1930s, working in the cane fields around Cairns and later in the tobacco industry. In 1952 they began worshipping in a house specially purchased for that purpose. The extant mosque was constructed in 1970 and has been the home of Islamic worship in Mareeba and the surrounding area since. Helen – your observations are spot on. I had a haircut yesterday in the city and I was quite taken aback, shocked to be honest when the hairdresser [facebook, instagram generation]- she casually said to me “why all the fuss, since 9/11 all we have heard is Paris rock concert massacres, all the journalists, and she reeled off a list of attacks and concluded that it was bound to come that someone would do it to them.” She didn’t even use the word Islam or any other identifier of the poor victims, what a twisted world instant news and media has spawned. Either your friend is trying to demonize Far North Queenslanders to highlight his own southern progressive purity or he simply needs to get our more. He is peddling the same tired southern narrative us Far North Queenslanders learned to tune out a long time ago. The mosque shooter came from NSW and his far right sympathisers seem to have their biggest presence in Vicyoria. The Cairns area, in which most of the people up here live, is tolerant and welcoming of outsiders partly because their livelihoods depend on it. We welcome more overseas visitors per capita than any other part of the country. OK, but to discuss this phenomenon with no mention of the numerous attacks on innocents perpetrated by Islamist extremists over recent years – which sure as hell radicalised Tarrant – is a form of denial that precludes any chance of arriving at constructive solutions. Just as US troops on Arab soil were the best recruiting tool the jihadis had, so too were attacks in Paris, Barcelona, Nice, Brussels, Manchester et al absolute gifts for extreme right groups. Not to make that connection is not just misguided but actually perpetuates and reinforces divisiveness through demonisation rather than understanding through an examination of cause and effect. A recent doco on fascism in the US showed how even the most hardened Klansman could be turned around with the right kind of engagement but you don’t score any culture warrior brownie points for that. Both the hard-left and the hard-right would seem to have a preference for confrontation. Count me out of it. You should have stopped after “Okay” to be honest.